The reason we’re in New York is to see my New York Mets play game 6 of the NLCS vs. the Cubs. However, the Mets swept the cubbies, so there will be no game 6. But that doesn’t mean we can’t include a little baseball in our trip. 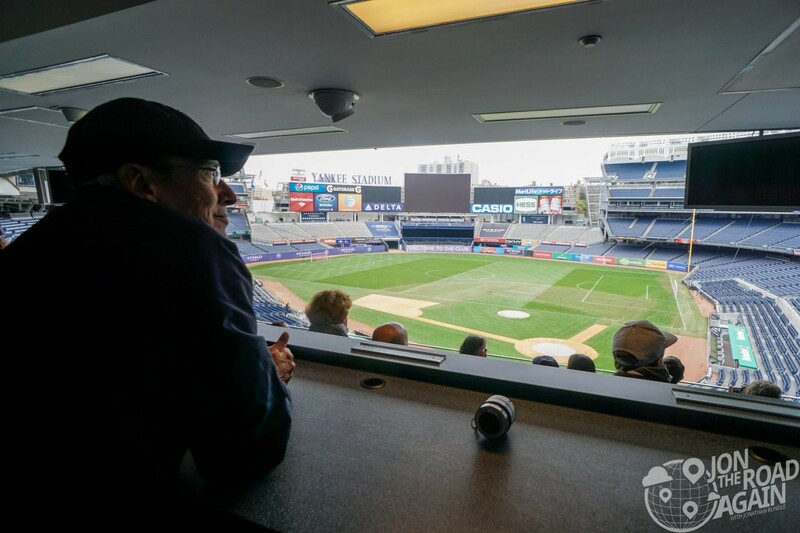 Let’s visit the home of the Mets and take a tour of new Yankee Stadium. 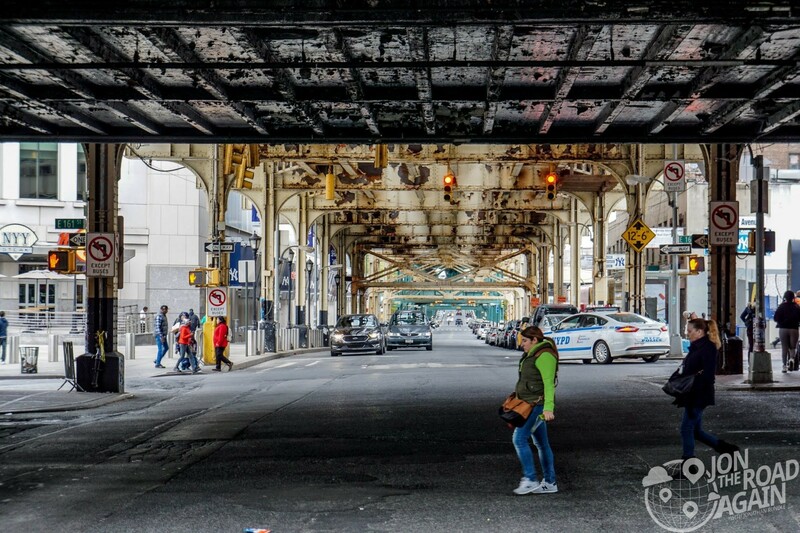 Being a Mets fan, let’s start with this view of the area surrounding Yankee Stadium. You’d think the world’s second most valuable sports franchise could spring for some paint. Yeesh! But the stadium is very nice, I will admit. Our tour begins in the stadium atrium and then up to the Yankee Museum. 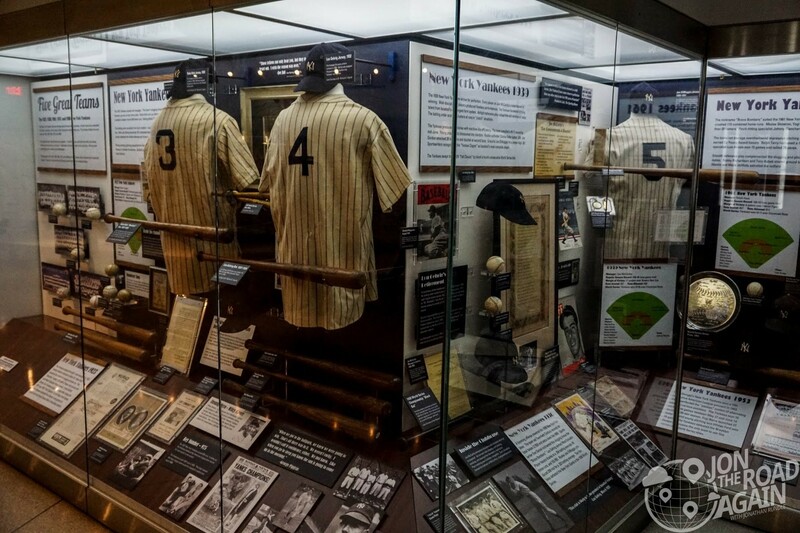 There, we get to see jerseys from all the Yankee greats. 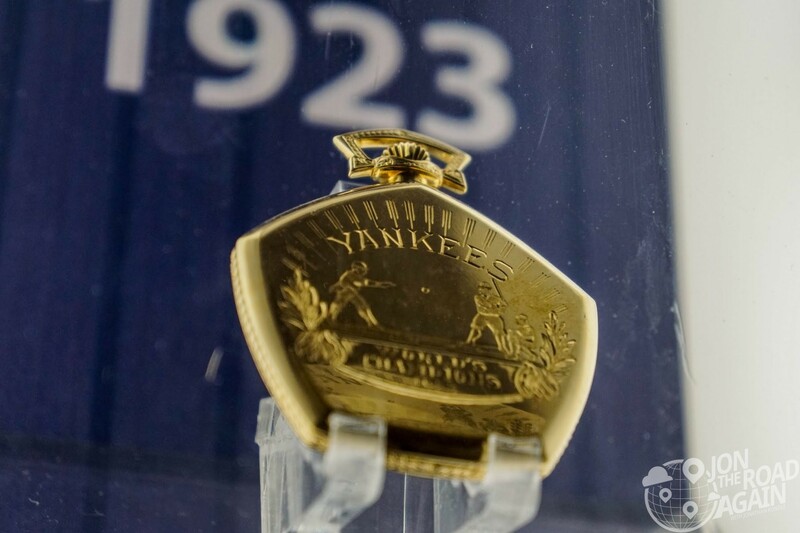 Memorabilia filled these cases from each decade of Yankee greatness. We didn’t get as much time in this room as I would have liked, so if you take the tour make sure you move around pretty quickly. 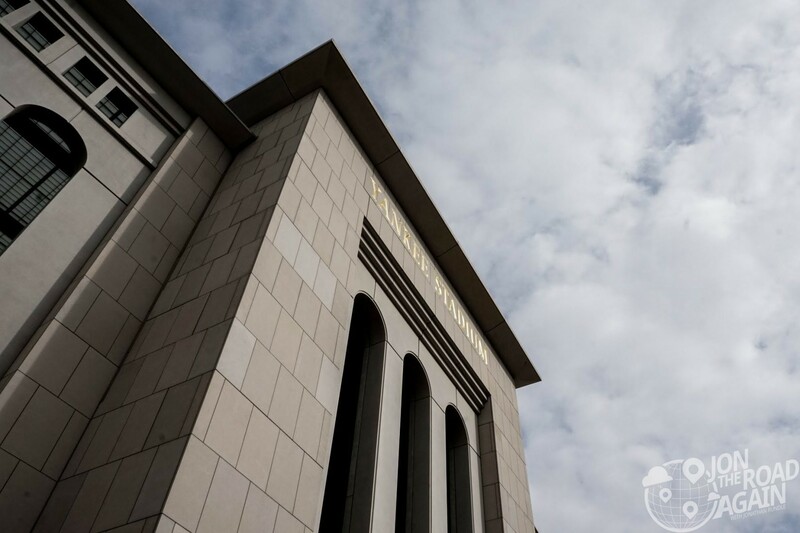 Outside, we walk along the concourse to Monument Park. 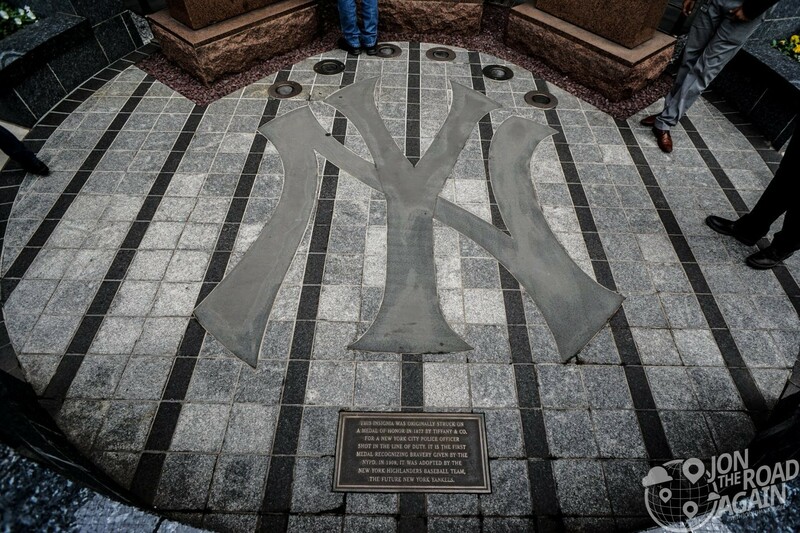 The original monuments to memorable Yankees were located in the field of play. 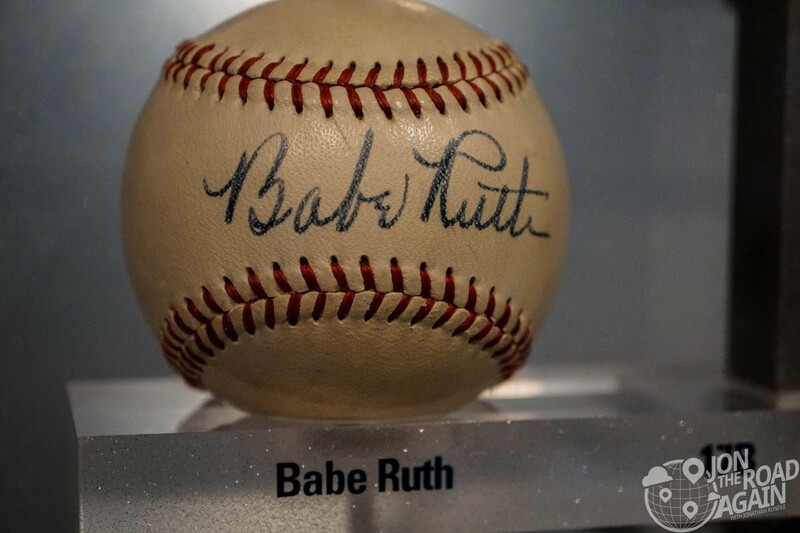 Imagine a center fielder running after a fly ball and colliding with a huge chunk of red granite. But for that to have happened in the original Yankee Stadium, the ball would have to carry some 500ft to the center field fence. From 1936 to 1973 the distance was still 463ft. The 1973 remodel put the park behind the outfield fence. 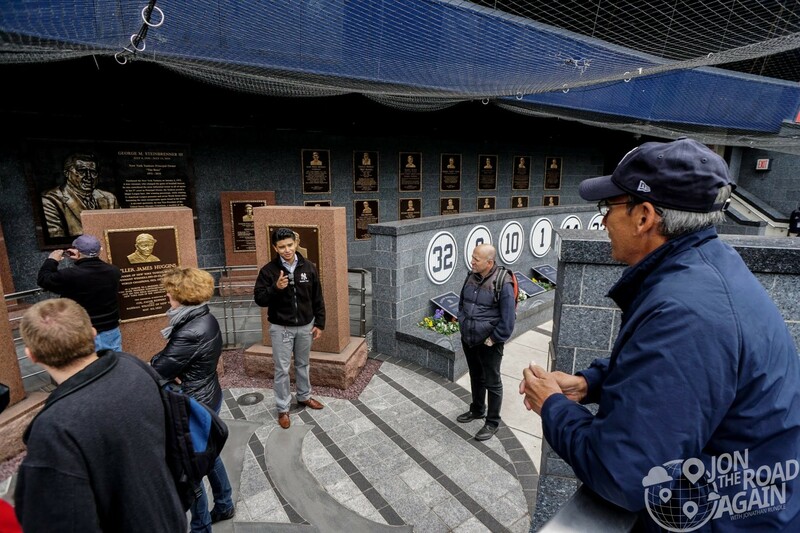 In contrast to the old stadium, the new Monument Park is not readily visible from the field, and its relatively drab appearance and inconspicuous placement have led some to derisively nickname it “Monument Cave”. We took the old Yankee Stadium tour and I have to agree with that nickname. The old park had trees, flowers and plenty of open space. The new one is shoehorned underneath the overhang from luxury suites above. This insignia was originally struck on a medal of honor in 1877 by Tiffany & Co. 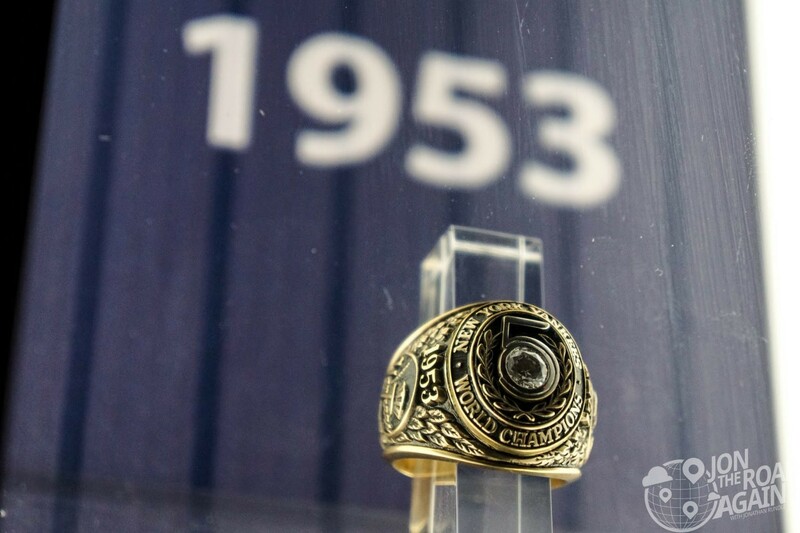 It was issued to the first New York City Police Officer shot in the line of duty. The New York Yankees adopted this logo and it became part of the uniform in 1909. Dad takes in the view from the press box. Off-season Yankee Stadium tours usually let you walk along the warning track and visit the Legends seating area behind home plate, but they were preparing for an MLS game there the next day, so we didn’t get to do any of that stuff. Be sure to check the schedule of events at the stadium if you’re interested in maximizing your tour experience. No baseball game, as I mentioned earlier, but as a fan I have to stop by for a visit. 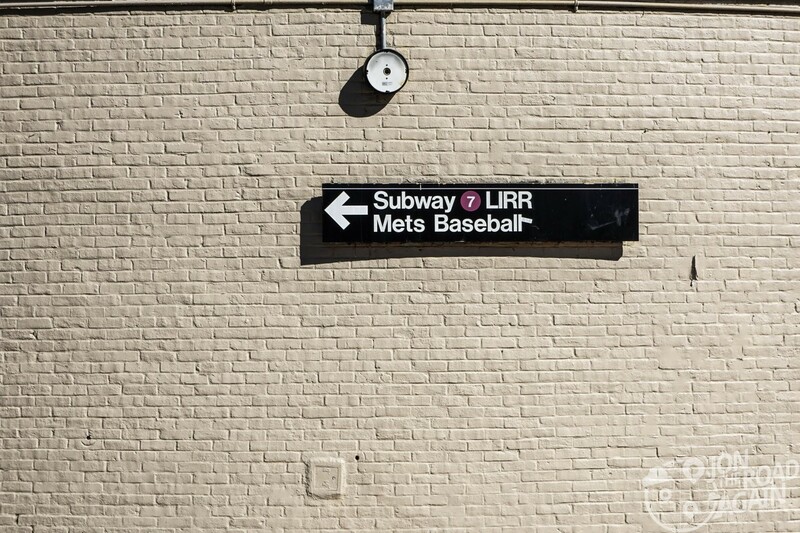 Staying in Queens and having just explored Corona Park, Citi Field is a hop skip and a jump away. 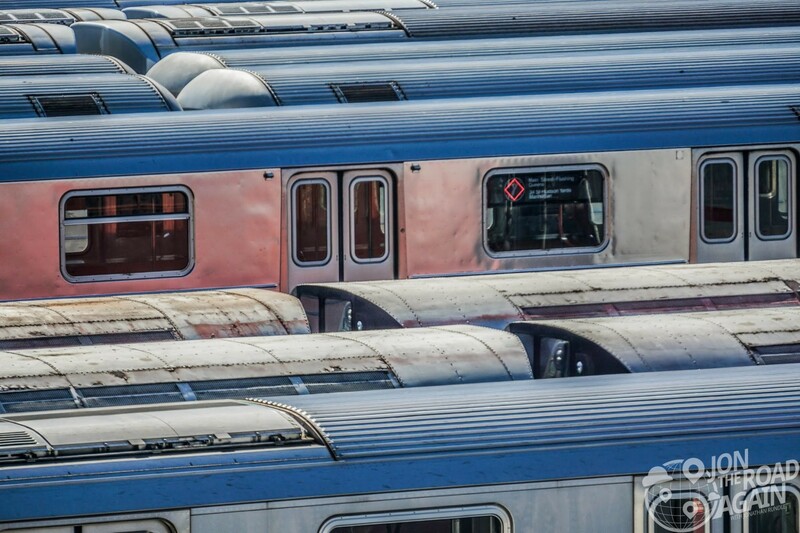 Leaving Corona Park, you’ll go over the MTA subway yards which makes for some interesting shots. 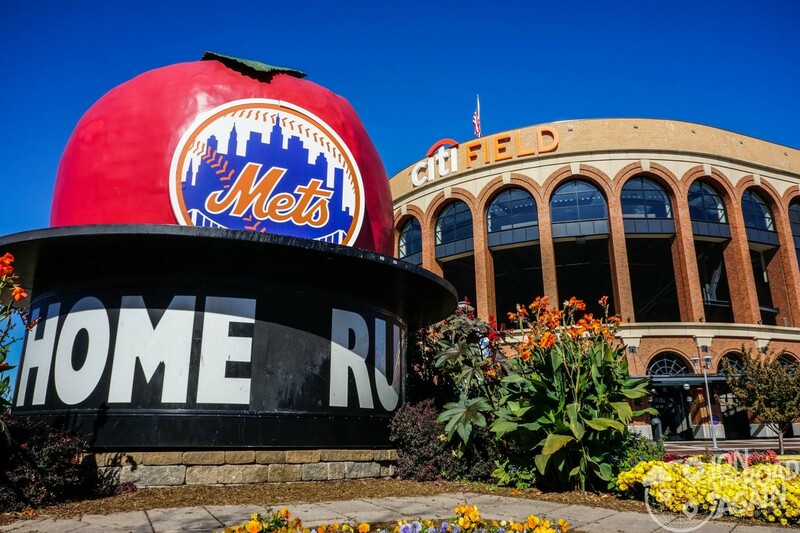 The old “Mets Magic” home run apple and top hat are out front, which makes it a popular photo and meeting spot. 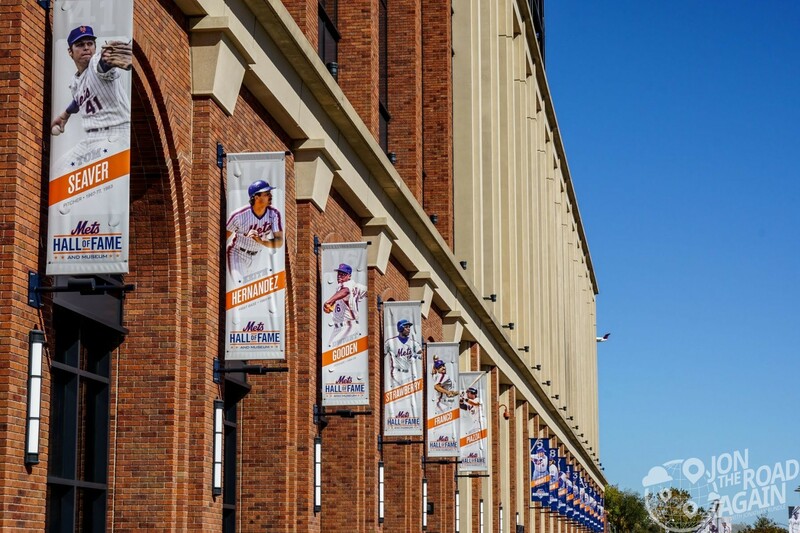 Hokey and quirky, it became so beloved, the Mets had no choice but to recreate it in their new home. Hopefully we’ll have a chance to return next year for another run at a World Series title.